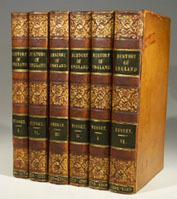 The Second edition in six volumes. To which is prefixed a view of the progressive improvement of England in prosperity and strength to the accession of His Majesty. Robert Bisset died in 1805 therefore volume six by others.